Announcing Book Signing for "Fade to Lack" on April 6th! As you have hopefully heard by now, I recently published a book! 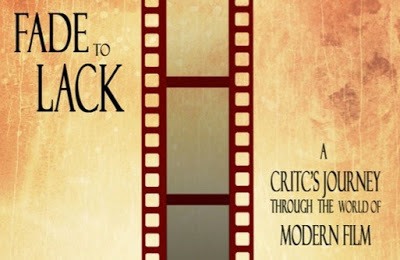 Fade to Lack: A Critic's Journey Through the World of Modern Film, a survey of contemporary American film related through my personal path as a young movie critic, is now available on Amazon.Com, and today, I have a very cool announcement to share with readers! I will be hosting a book signing for Fade to Lack on Saturday, April 6th at 4:00 PM at Bean Fosters, a lovely, independently owned coffee and used book shop in Golden, Colorado (visit their official website here!). Books will be available at the event for purchase (cash or check only, please), but you can of course buy your own copy first - from Amazon or directly from the publisher - just in case there are not enough copies on hand to go around. The event will last two hours, and I will be there the entire time to sign books, chat, and answer questions. Refreshments will be available from Bean Fosters. If you can make it, I would love to see you there, and if you have any questions about the event beforehand, please feel free to shoot me an e-mail or leave a comment here at the blog. Is Shannon Wheeler going to be there too? Will you be performing a reading of a small part of the book? Shannon should be there for a little while, and there may be a reading, although it will depend on how many people are there and how the space is ultimately laid out.